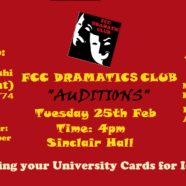 Auditions for performances in Inter-University Drama Festival 2014 will be conducted on 25 February 2014 in Sinclair Hall at 4:00 pm. Students are requested to bring their university cards with them for the auditions. 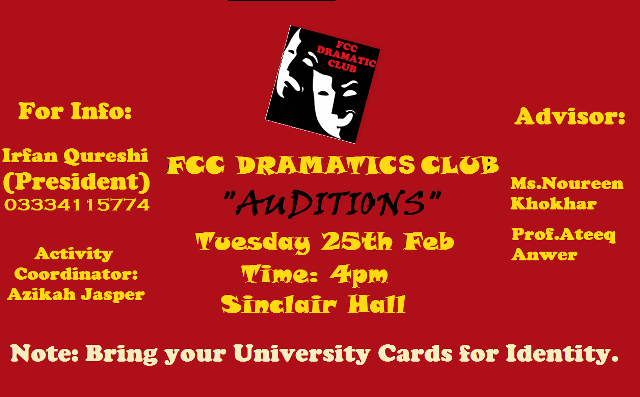 The advisers of the club and the FDC office bearers will supervise the auditions. The decisions made by the panel will be final and cannot be challenged.